Uflex is a Sarasota based company who has grown to lead the design, development, and manufacturing of the Marine Steering and Control Systems. 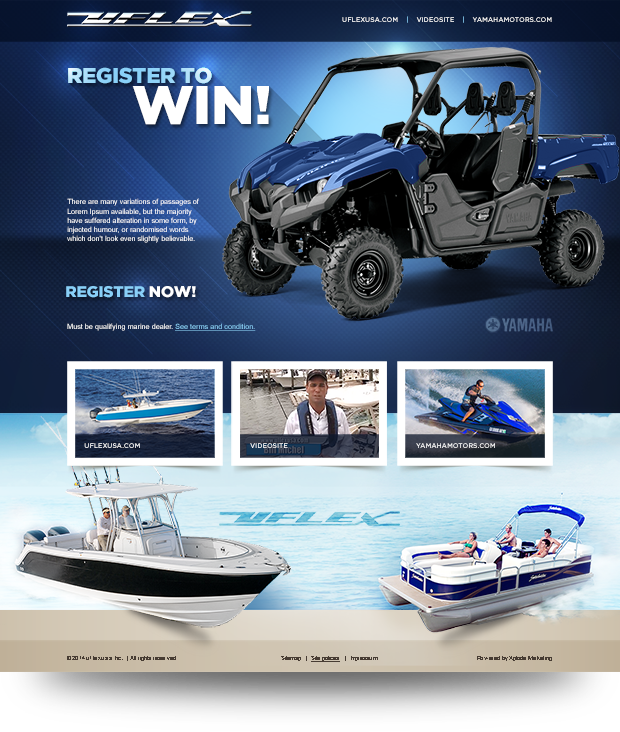 They came to us looking to develop a website where they have partnered up with Yamaha and are giving away a 2014 Yamaha Viking. We designed a very clean and outdoor style website that showcases the giveaway as well as the products Uflex offers. 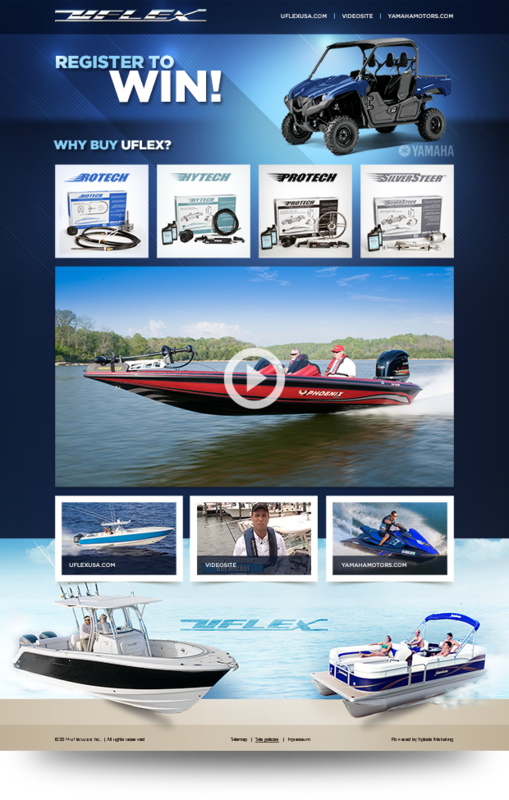 Xplode Marketing designed a unique website that allowed Uflex to showcase their Yamaha Viking giveaway as well as their steering products. We integrated this website into a content management system that allows the client to update all pages including the blog, home page, video vault and more. We’ve also used our SEO skills to create a program that has allowed him to be on the top for all of their products. 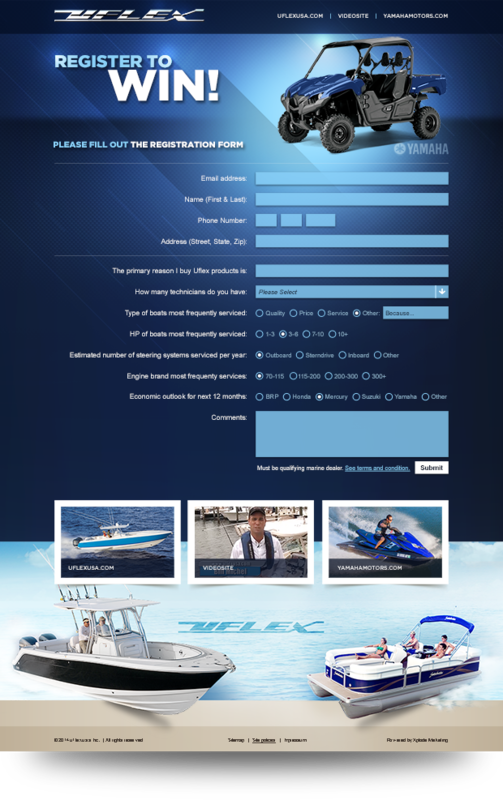 Ultraflex products can be found as original equipment on the finest boats built around the world.